Frequency Xcel Toric offer visual clarity and lens stability, designed to correct the effects of astigmatism and allow you to enjoy your day without any visual distortion. 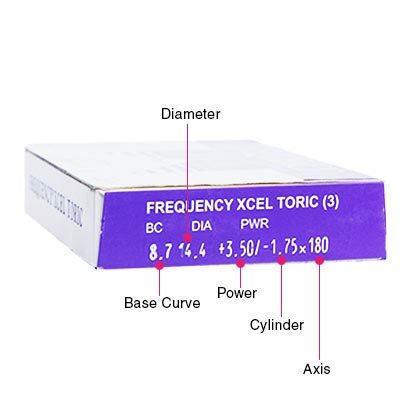 These toric lenses are from renowned manufacturer CooperVision. State-of-the-art UltraSync technology is used to create Frequency Xcel Toric lenses, which ensures minimal rotation of the lenses when on the eye. This means no matter how hectic or active your day is, your vision will remain stable without becoming blurred. 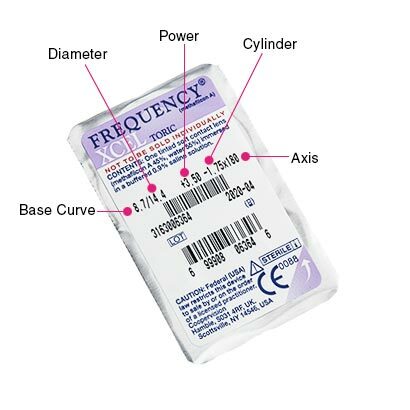 Frequency Xcel Toric lenses are monthly lenses featuring 55% water content, meaning they are moist, wettable and comfortable to wear. This helps to minimise the risk of your eyes drying out as the day goes by, while the ultra-slim shape of the lens will be comfortable to wear from the start to the end of the day. Your monthly toric lenses need to be taken care of by cleaning and storing them on every night basis. FeelGoodContacts.in stock a wide range of solutions including Renu Fresh Multipurpose solution for this purpose. If you take proper care of your lenses you can enjoy a whole month of quality performance, crisp and clear vision and exceptional comfort from each lens. 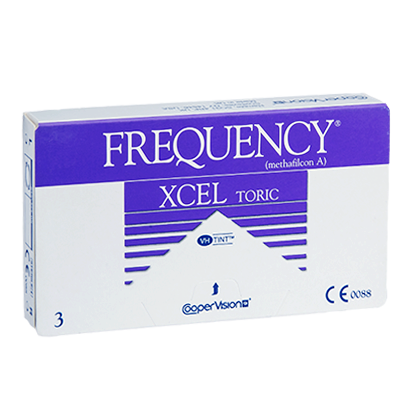 Frequency Xcel Toric XR offer a high range of powers for those who suffer from a more extreme degree of astigmatism. Air Opitx for Astigmatism is recommended as an upgrade to Frequency Xcel Toric.